Throughout the Strongwater event space, there are a lot of elements that make for good photography. This includes the expansive pane windows, all of the exposed brick, as well as the built-in bar. Character is found around every corner. The rustic charm is ideal for a down-to-earth, laid-back wedding. It's possible to infuse your personality into every photograph. Your photographer will get to know you and guide you through the venue for some of the best photographic opportunities. At Style and Story, we are in love with love and there's nothing better than being able to tell a good love story through photographs. We look to provide the ultimate experience. Whether you're seeking to get married at Strongwater or want to choose an equally fabulous venue, we look forward to being a part of your day every step of the way. Contact us today to learn more about our photography services to determine if we're the right fit. All of your food and beverage needs are built in with the restaurant on-site. And the in-house catering program will give you access to the executive chef. Whether you are looking for passed appetizers, a buffet dinner, or a sit-down three-course meal, it is possible to get everything you could want. Preferred vendor recommendations are also provided, helping you to select everything from a tasty wedding cake to an incredible DJ that will fill the space with music for people to dance to. The on-site coordinator will be able to provide you with a list of vendors that they work with on a regular basis. This will make it easy for you to handle booking the various vendors for your wedding – ideal if you don't have a wedding planner! The venue itself provides you with plenty of room for your ceremony and reception. There's a guest capacity of around 100. Plus, you can count on the staff to assist with the food and the drinks, all with trained bartenders. You can even ask for them to create a signature cocktail. You can choose from indoor and outdoor space – or a bit of both, depending on the size of the wedding. Although there are no accommodations on site for your guests, you can look forward to plenty of hotels nearby, including the Crowne Plaza Downtown and the DoubleTree Suites Columbus Downtown. The menu at the restaurant on site allows you to go in and try some of the food before deciding if this is the venue for you. With food that is best described as local and rustic, you will find it all to be delicious. You can find everything from pork belly to sautéed mussels on the menu. There are also plenty of gluten-free and vegetarian options available, ensuring that the chefs can accommodate any dietary restriction that you or the guests may have. Strongwater Food & Spirits is not only a restaurant and bar but also holds a stunning event space. 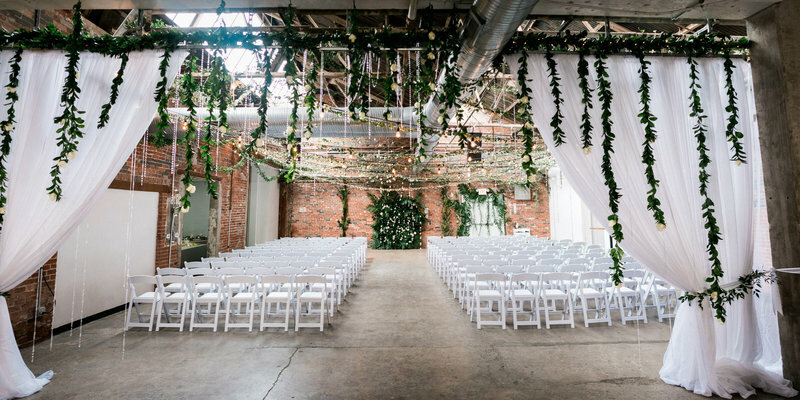 It is all located inside of a 100-year-old warehouse in East Franklinton. The event space can be transformed into something truly magical. By day, it can take on an industrial look and by night, twinkly lights can be dazzling above everyone's heads. There are three rooms of event space, two sets of restrooms, as well as an open-air courtyard. There's also plenty of parking nearby. Getting married is one of the most exciting times of your life, and you want to be sure to do it with class. 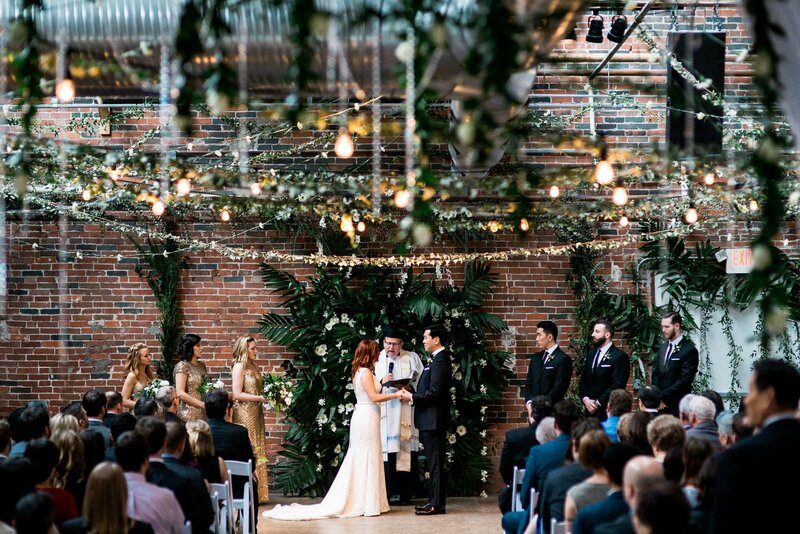 Much of this means choosing a venue – and Strongwater Columbus is a top destination for couples throughout the area. 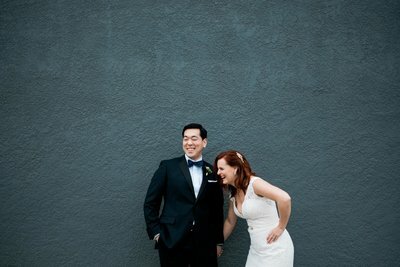 Click to see Danielle & David's incredible wedding at Strongwater Columbus. WANT BLAND, FORGETTABLE PHOTOGRAPHERS? DIDN'T THINK SO. LET'S TALK! Style & Story is a team of Columbus wedding photographers who value telling your story and creating Authentic, Dynamic, Relational images. They photograph weddings, engagement sessions and Indian weddings in Columbus, Ohio as well as destination weddings all over the world.